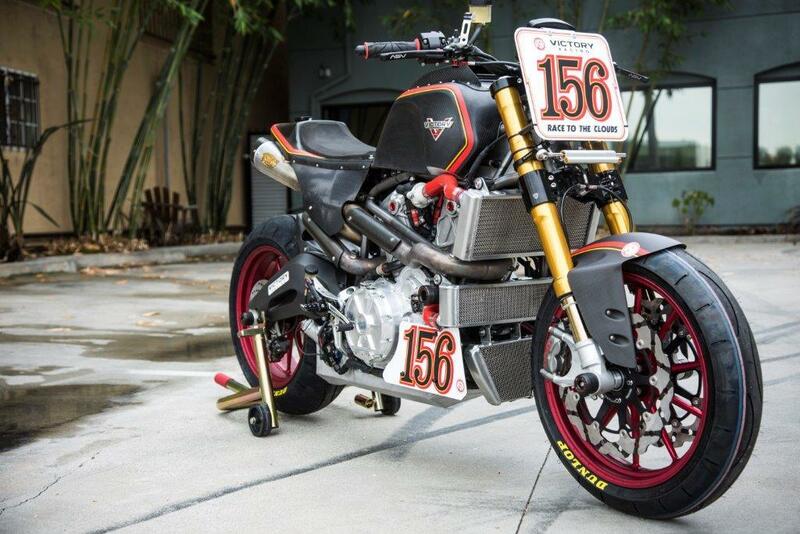 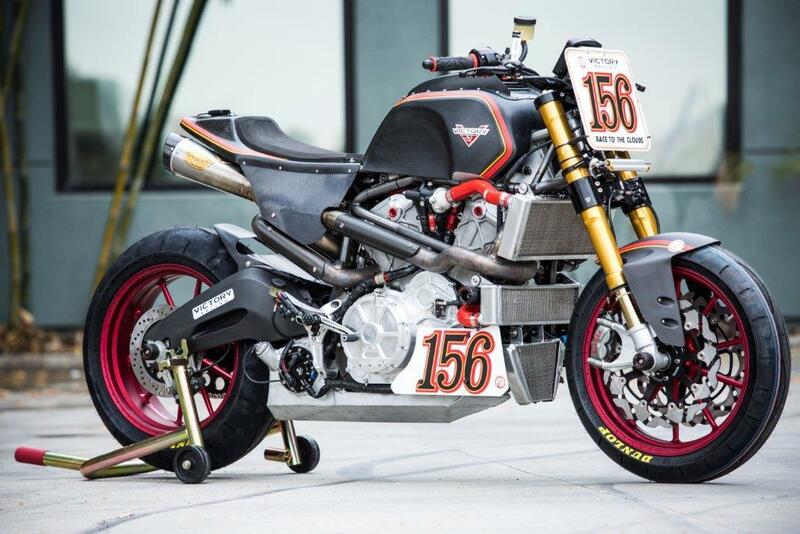 American firm Victory have fully revealed the all-new Project 156 racing bike that it hopes will be good enough to take a win at the famous Pikes Peak International Hillclimb later this month. 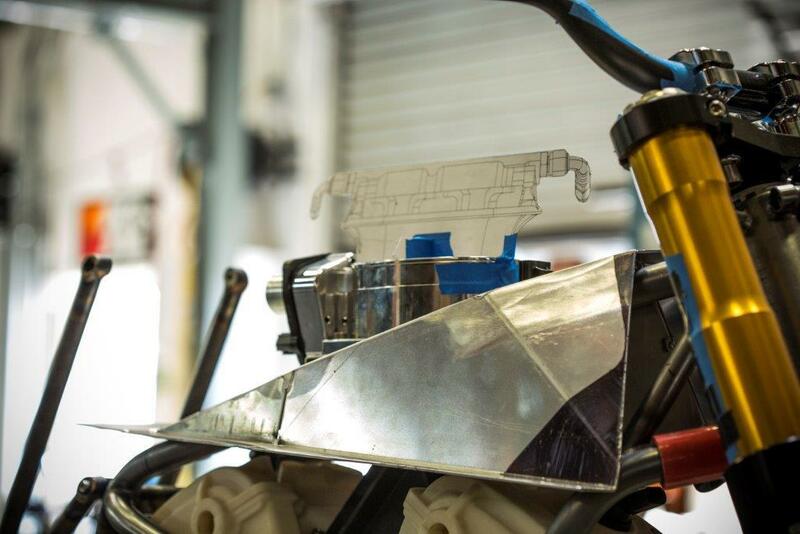 The bike has been teased before and glimpses have been shown of the frame and engine on the bench but this is the first time the bike has been fully revealed just three weeks before the Pikes Peak event in Colorado, USA on June 28. 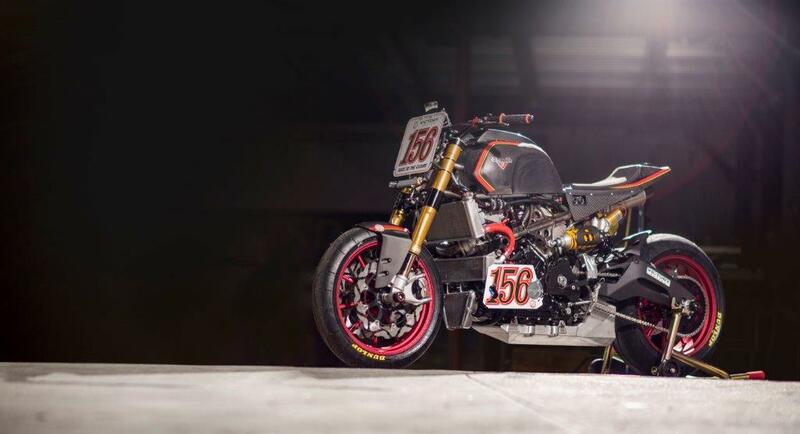 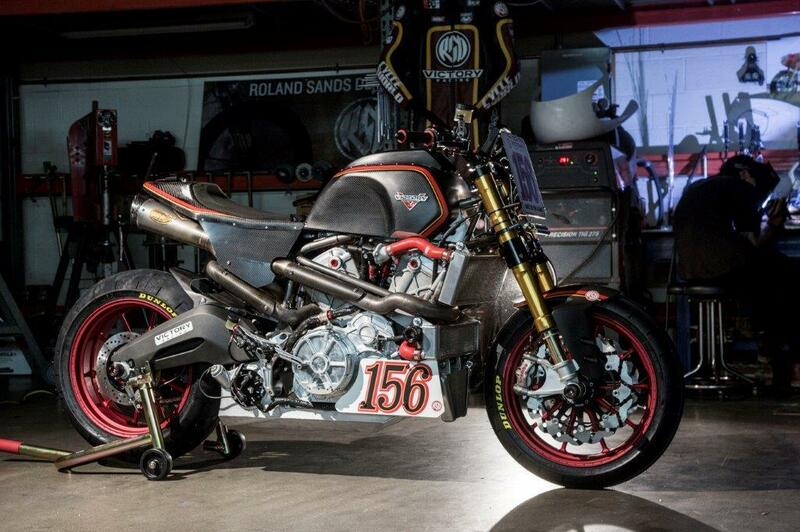 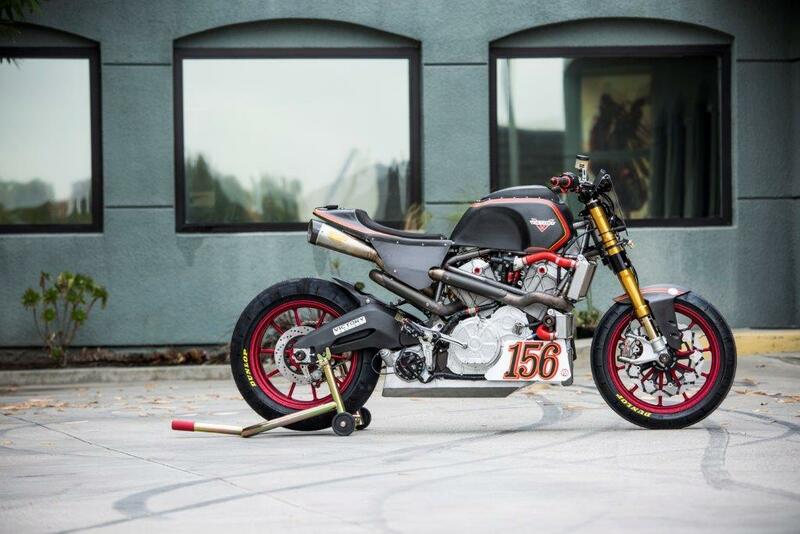 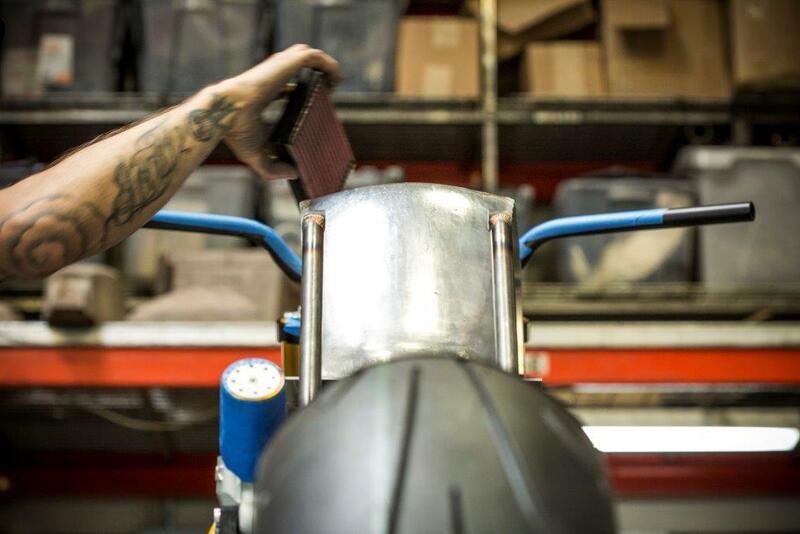 Project 156 has been built in conjunction with custom bike builder and former racer Roland Sands and will be ridden by American motorcycle journalist Don Canet who works for Cycle World magazine. 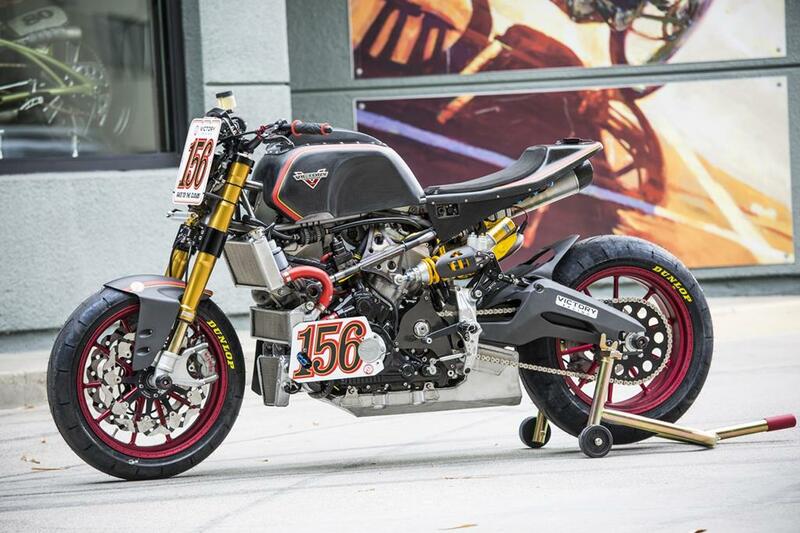 The Pikes Peak event signals a new beginning for Victory motorcycles which, along with America’s oldest motorcycle brand Indian, is part of the huge Polaris Industries company. 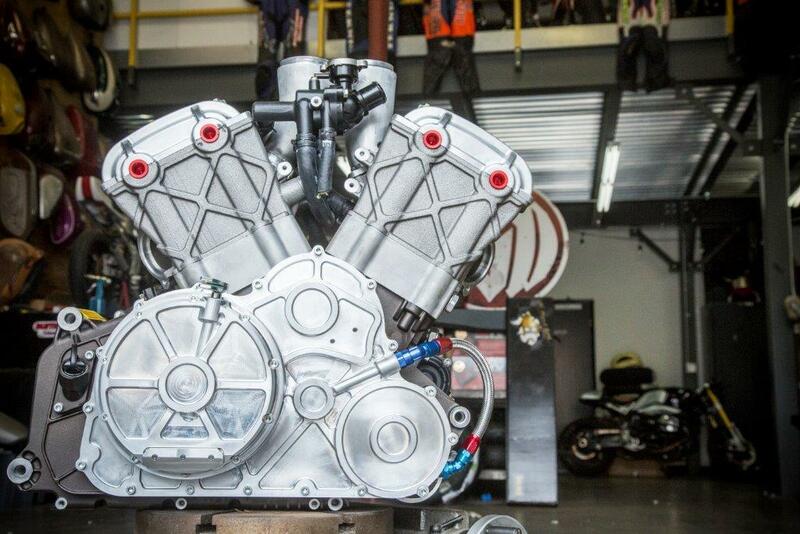 Indian are taking the heritage fight to Harley-Davidson while Victory is now attempting to take the more ‘sporty’ end of the market. 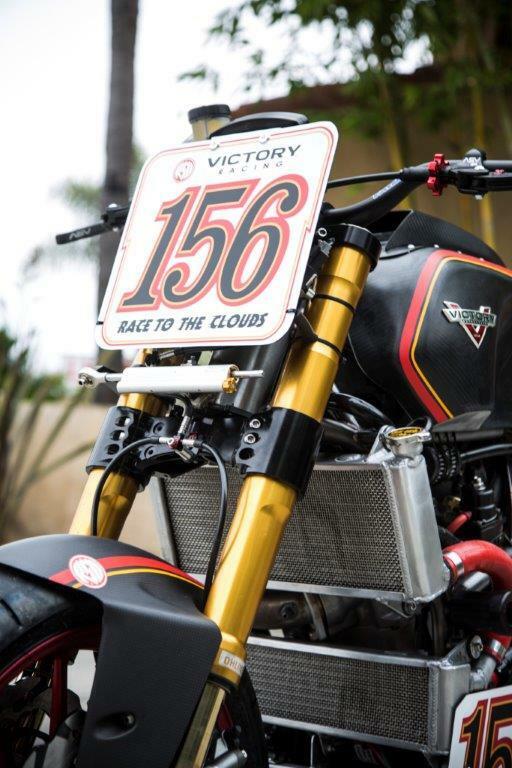 The Victory Project 156 has been pulled together in just four months ahead of the race and is using help from Sands along with the resources of the massive Polaris company too. 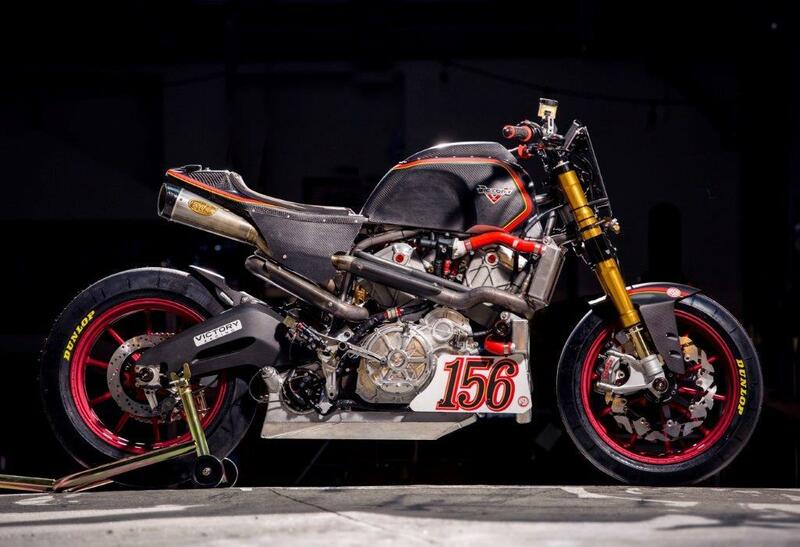 The prototype racing motorcycle, named Project 156 for the 156 turns in the Pike’s Peak International Hill Climb, also known as the Race to the Clouds, will feature a prototype V-twin liquid-cooled engine. 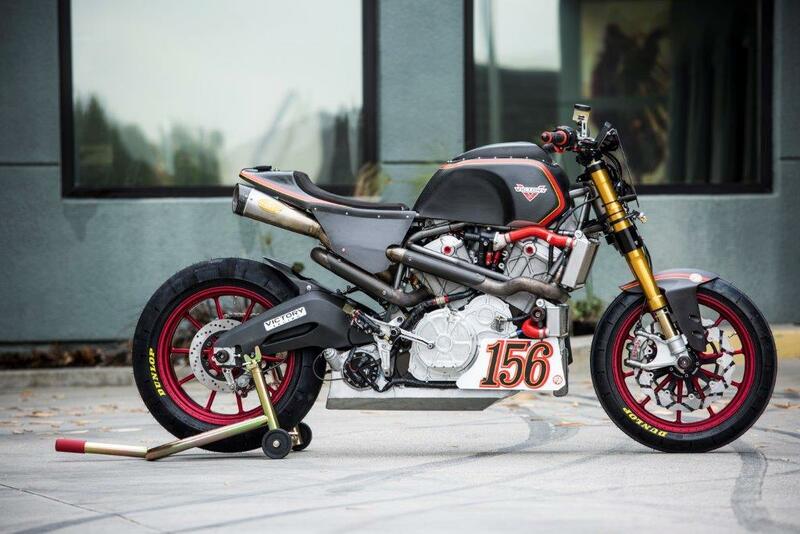 “The Project 156 motorcycle is a hand-built road-racing bike with a prototype Victory motor developed at Victory’s Minnesota research and development facility. 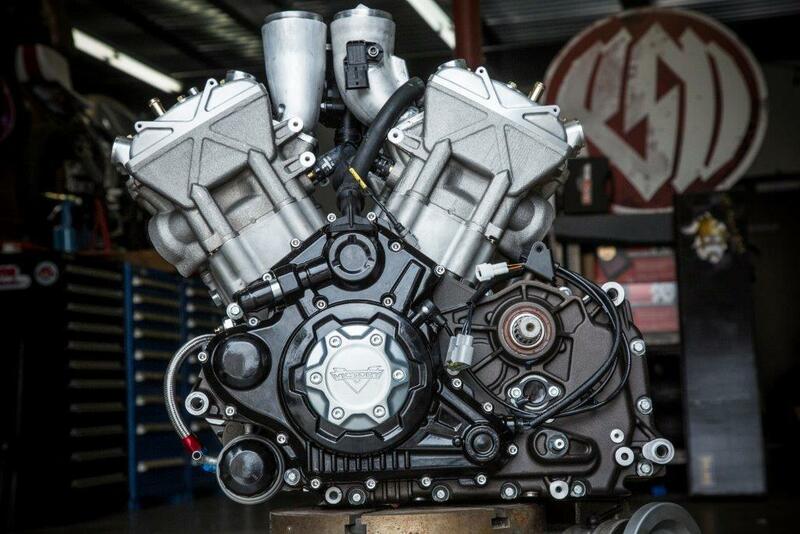 This liquid-cooled engine represents the future performance of the Victory brand. 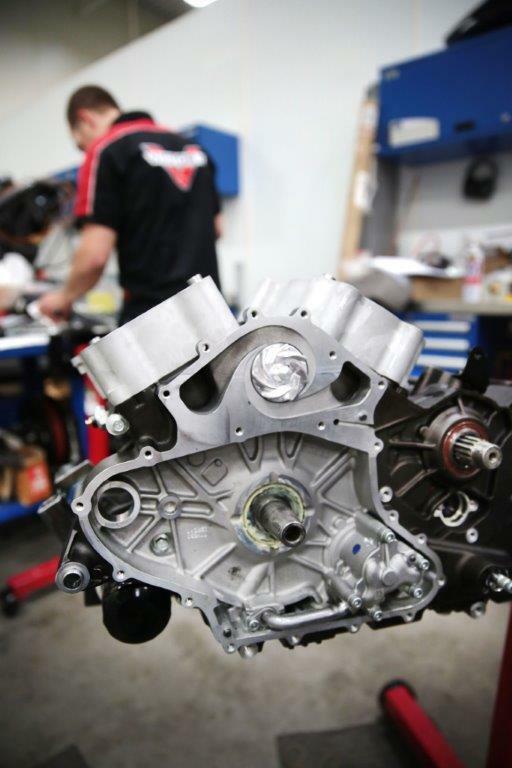 It features twin intake 67mm throttles with downdraft runners for maximum power and torque as well as a performance valvetrain including intake and exhaust valves made of titanium to allow for maximum engine speed. 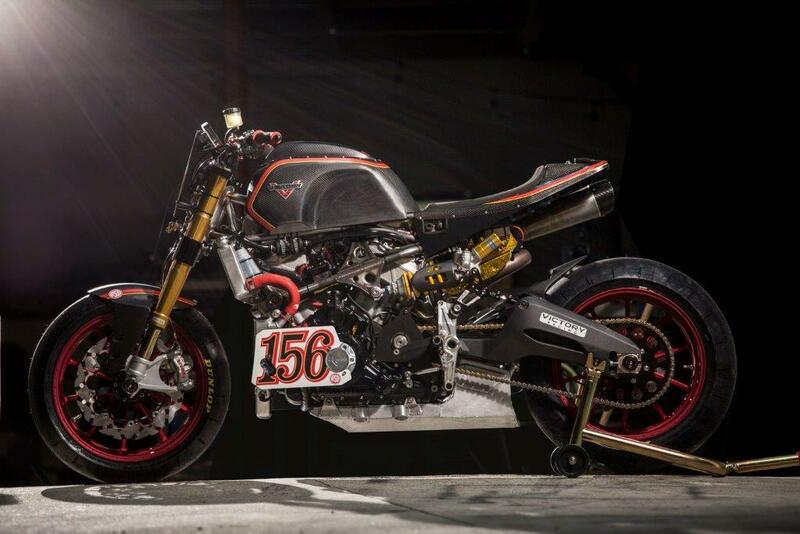 What is Pikes Peak all about then? 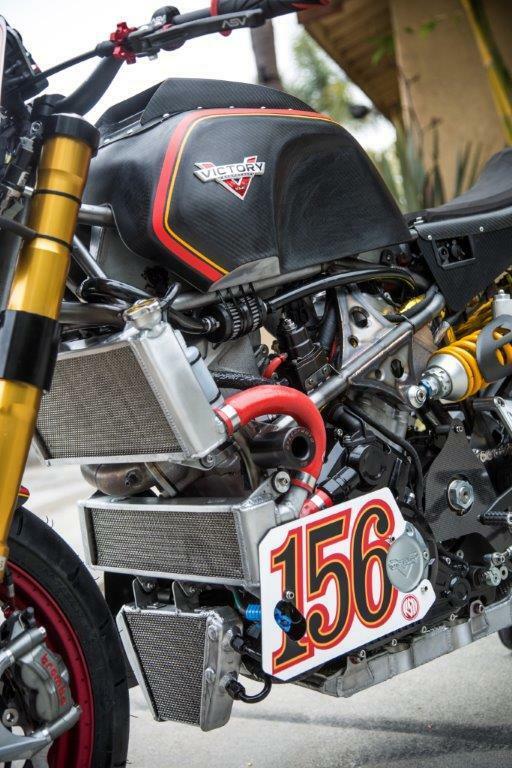 The Pikes Peak International Hill Climb, an annual automobile and motorcycle hill climb to the summit of Pikes Peak, Colorado, will take place on June 28, 2015. 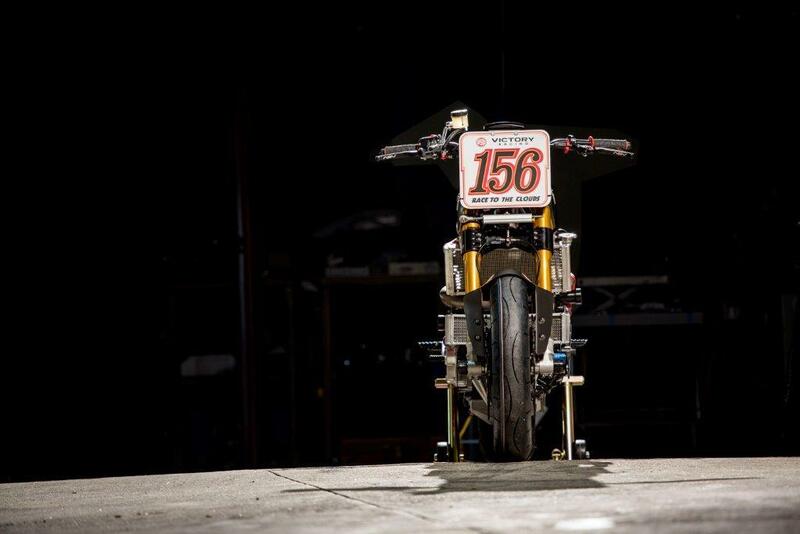 Having started in 1916, it is the second-oldest motorsport event in America after the Indianapolis 500. 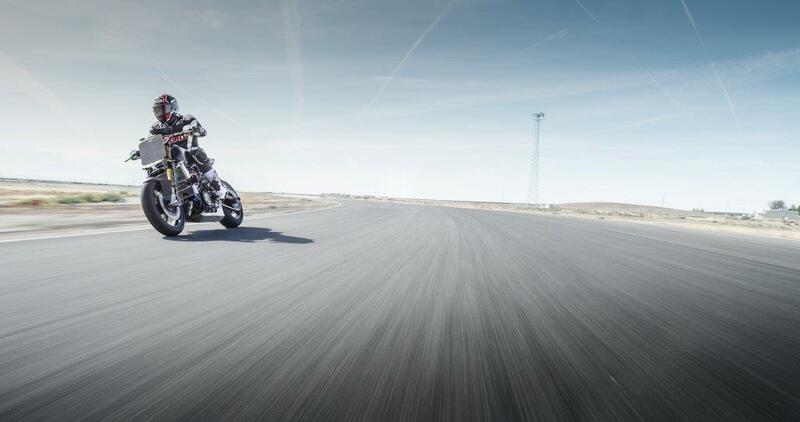 The track measures 12.42 miles (19.99 km) over 156 turns, climbing 4,720 feet (1,440 m) from the start at Mile seven on Pike’s Peak Highway, to the finish at 14,110 feet (4,300 m), on grades averaging 7%.